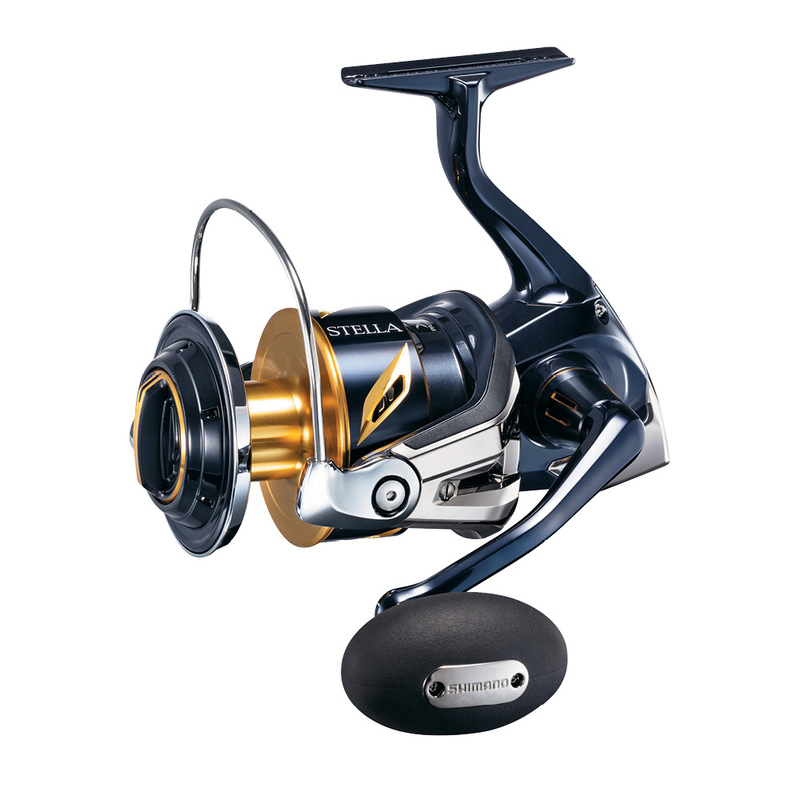 The Shimano Stella SW represents the pinnacle of innovation for Shimano reel technology and fish-fighting performance. For 2019, this flagshi[ series has been upgraded and released in 8000, 1000 and 14,000 sizes. For increased power and enhanced durabilty, this series featres a range of upgrades. Infinity Drivehas be incorporated for light and powerful winding and the up graded Heatsink Drag provides superior drag performance under extreme heat. A waterproof rating of IPX8 is achieved through X-Protect and X-shield with the aluminium Hagane Body acting as a rigid and super tough outer shell. 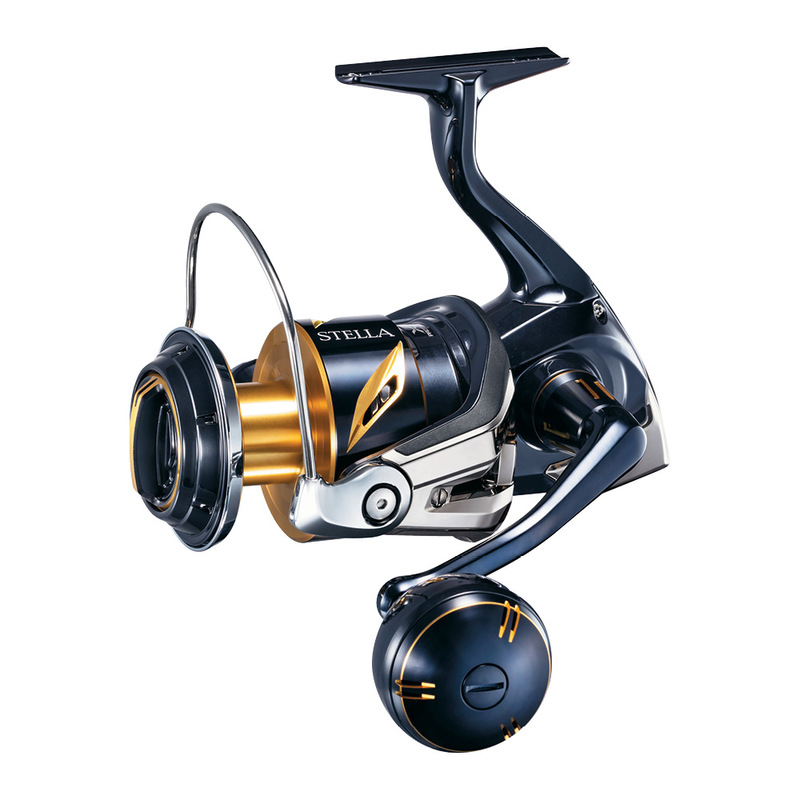 A new and improved rotor desgin has made the reels lighter than the previoys Stella SW models. The HG mdoels are desgined for both casting and jigging, whereas the PG is geared for jigging and teh XG for saltwater casting. Available in stores March 2019. By supporting the pinion gear on both ends with our S-ARB bearings and integrating a bigger drive gear, Shimano increased the gearing efficiency and power. This results in a fishing reel with ultra-light handle rotation, giving a perfect rotation even under heavy loads. Shimano New Zealand provides a TEN YEAR WARRANTY on all Shimano fishing reels, against defects in materials and/or faulty workmanship. HAGANE Body means this reel has a high rigidity and zero twist. The body stiffness and impact resistance virtually eliminates body flexing. The result transforms the anglers actions directly into cranking power. It's efficiency through strength. HAGANE Gear is at the very heart of the reel and creates strength and durability. The entire cold-forging process is calculated in minute detail by special 3D design and the result is precision durability.